The Old Testament promises the Israelites that if they keep God’s commandments, they’ll earn the blessing of water and the bounty of successful farming. If nothing else, this verse proves that the people of Israel have worried about water for millennia. They clearly worry about it today—and they apply their God-given power of reason to address the problem. I saw this firsthand a few weeks ago, on a trip to their remarkable nation. Many people visit Israel for religious reasons. My pilgrimage, however, was entirely agricultural. It was an opportunity to trade information and wisdom with my fellow farmers. Israel is completely different from my native land of India. It’s much smaller in size (the 150th largest total area vs. the 7th largest) and population (less than 9 million people versus more than 1.3 billion). Their climate is nearly the opposite of ours: More than half of Israel’s land is a desert, and much of the rest of it is dry. Although we have a few arid regions in India, much of the country is drenched. On my farm in the south, we face unpredictable monsoons, which pour massive amounts of rainwater onto our crops each year. Despite these differences, Indians have a lot to learn from the Israelis, especially about water management. Israeli farmers have a saying: “more crop per drop.” Their goal is to use every drop of water wisely and effectively. They take advantage of their limited groundwater, and supplement it with desalinated water and recycled sewage water. The government encourages prudence through levies on water use as well as the promotion of water-saving technologies, such as micro-irrigation methods that carefully control the amount of water placed on fields. 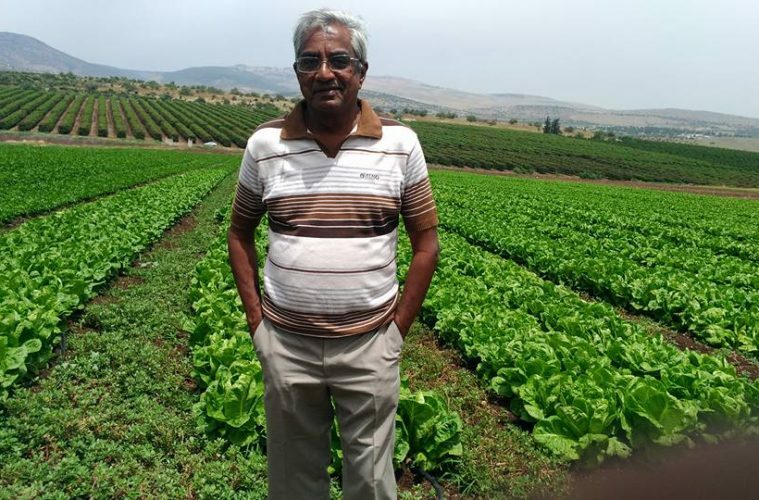 We can replicate some of the Israeli models and modify some of the techniques to suit our Indian agriculture conditions. We face our own problems with water scarcity. 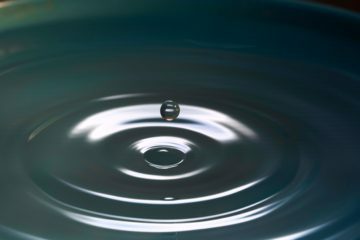 Although sometimes it feels like we’re drowning in wetness, our huge population also puts massive demands on our water supply. What’s more, our staple crop of rice has an intimate relationship with water, requiring as many as 3,500 liters of it to produce just a single kilogram of food. So we must become more like the Israelis, improving our country’s use of water through the adoption of drip-irrigation technologies, for example. 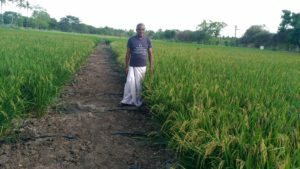 Although rice can flourish in fields that flood, this isn’t the only way to grow the crop – and I’m one of a handful of farmers who has experimented with this method. Initially, we met with a lot of skepticism. Yet my present rice crop is proving the concept. 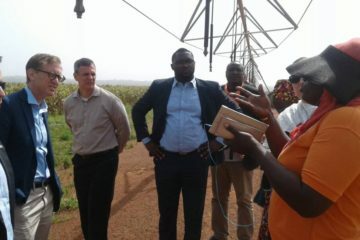 Public officials, journalists and other farmers are visiting my farm to see how this works. They’re already coming away impressed and they’ll be even more impressed when they see my harvest next month. If you look closely, the drip irrigation is visible in this rice paddy. Unfortunately, most of our farmers are poor and cannot afford the large cost of putting irrigation pipes into their fields. With a mix of private loans and government subsidies, however, we may enjoy progress. The good news is that at least we know what to do—and that’s half the battle. I learned a lot from Israel’s farmers, and I like to think they learned a few things from me as well. I told them about India’s positive experience with GMO crops. Although they didn’t appear too interested in how these plants have helped us fight weeds and pests, they did show interest at the idea of drought tolerance. They immediately understood the benefits of a crop specially designed to produce more food with less water. Up to now, Israel has resisted GMOs, as their main focus is to export much of its food to Europe, which has rejected this safe and conventional form of agriculture. I sensed that the Israelis didn’t share Europe’s ideological hostility to GMOs. They are smart farmers who have not had much exposure to GMO crops. Perhaps in time, they will come to embrace the new gene editing tools that are coming, especially as this technology makes further advances in water management, allowing us to conserve our natural resources through the innovations of sustainable agriculture. 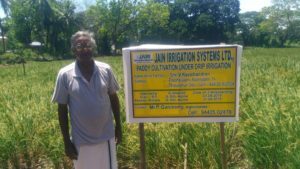 This rice paddy of Ravichandran’s utilizes drip irrigation. We may come from different lands, but as farmers we can exchange ideas as we pursue a common goal of better farming through smarter water use. Agriculture technology is a growing science. 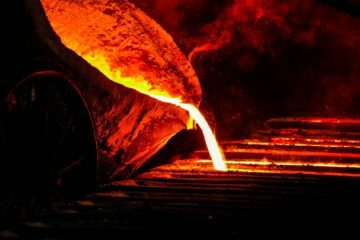 Everyday new technology is being developed and adopted in some part of the world. Farmer exchange programs and international visits are necessary to learn from each other as we work together to feed 9 billion people in the next three decades, not only with enough food but also with nutritious food.